FIFA.org – "2018 FIFA World Cup™ official match ball unveiled: an exciting re-imagining"
"A reinvention of a classic model with a brand-new panel design and the latest technology: in an exciting re-imagining, adidas today revealed the official match ball for the 2018 FIFA World Cup Russia™, which pays homage to the first-ever adidas World Cup ball. 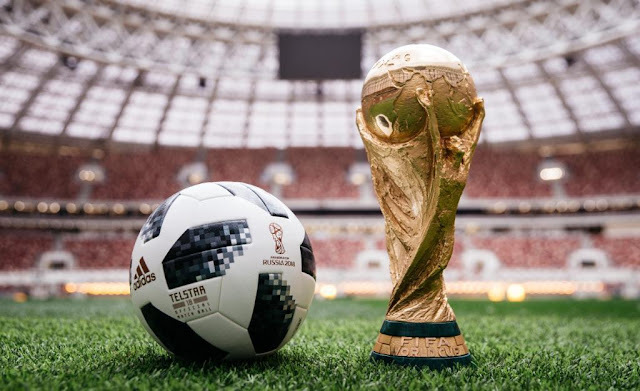 The Telstar 18 evokes unforgettable memories of the 1970 FIFA World Cup™ – and of legends like Pelé, Gerd Müller, Giacinto Facchetti, Pedro Rocha and Bobby Moore – and will feed the dreams of those who will play for football’s most coveted prize in Russia next year. The name of the original Telstar came from its status as the “star of television”. The first ball to be decorated with black panels, the pattern was designed to stand out on black-and-white TVs, and changed football design forever." 26 countries have qualified for the 2018 World Cup as of today. Six spots remain. The Netherlands, Chile and the United States are all officially out.